WP GPX Maps Error: File /home/collabo1/public_html/vip.hikingwithdean.com/wp-content/uploads/gpx/ken.gpx not found! 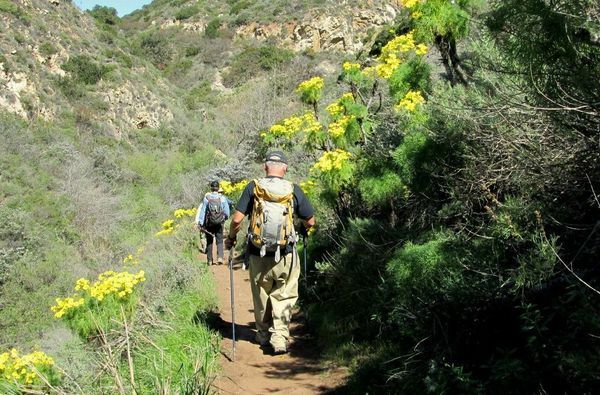 Join Ken and the small animals and birds of La Jolla Canyon on this loop hike with panoramic views of coastline and The Channel Islands. Flower blooms in the spring are phenomenal. One of the the main attractions are large swaths of native California grassland — some of the last remaining unspoiled areas in the state. 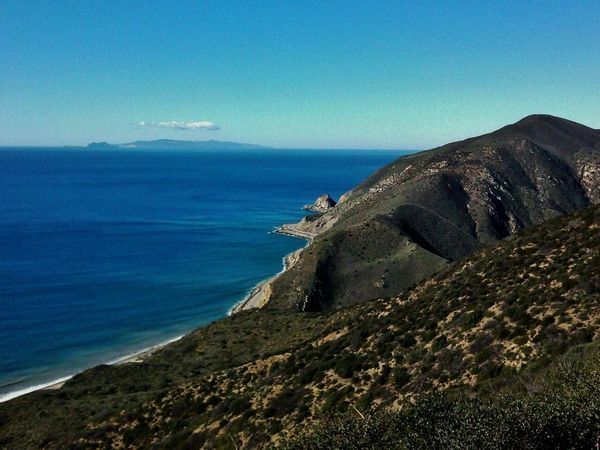 Consider the walk along PCH a warmup to the strenuous Chumash Trail. 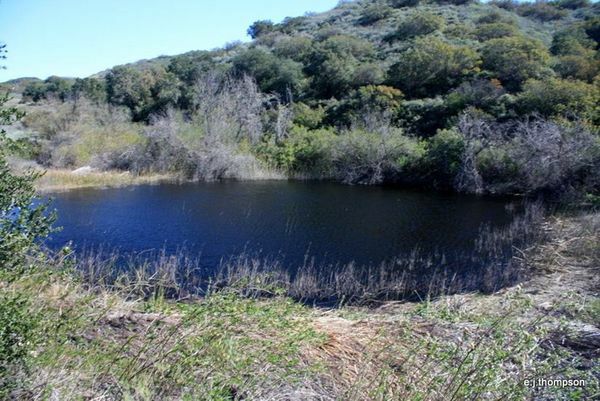 The Chumash trail is an ancient trail which leads from the Pacific Ocean to La Jolla Valley. It was used by the Chumash 7000 years ago, and believed to be the oldest trail still in continuous use in the Santa Monica Mountains. 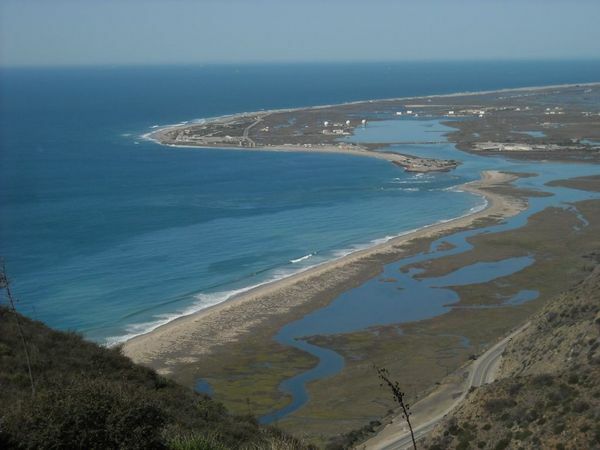 After we climb the Chumsh Trail we’ll swing around the Pt Mugu Peak Trail and bag Mugu Peak. We’ll take a group photo at the flag pole. 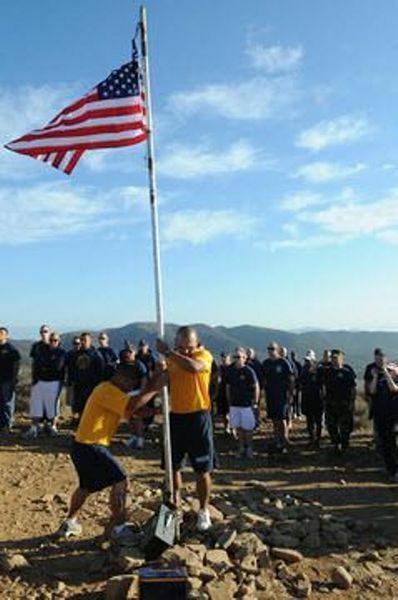 Every year since 2002 chief selects from the Naval Base Ventura County replace the flag on Mugu Peak. This photo shows the selects from 9/11 2011 replacing the flag that was placed by Sailors being advanced to chief petty officer in Sept 2010. The previous flag is retired in a ceremony on the base. After descending the peak we’ll head down to and up the northern section La Jolla Canyon proper. We’ll be taking our break at the hike-in campsite. There is a fancy outhouse there. One of the highlights along the way is this pond. Will there be water this week? 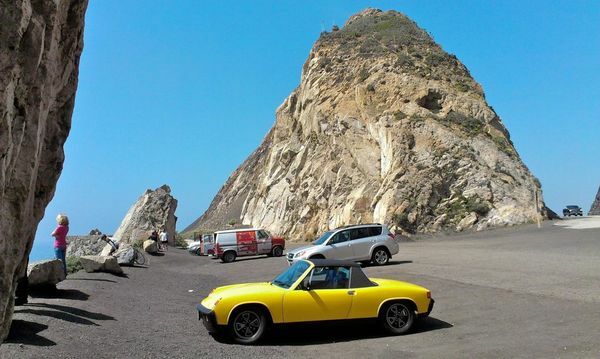 There is free parking on PCH near park entrance. If you have to park inside there is an iron ranger that accepts credit cards, or maybe even a human at the gate. From Los Angeles, after a long and relaxing drive down the Pacific Coast Highway (22 miles past Malibu Canyon), you’ll enter Ventura County and pass the so-called “Great Sand Dune.” Across the street from Thornhill Broome Beach is the entrance to La Jolla Canyon. It is very clearly marked. Park on PCH on either side of entrance. From Ventura: Entrance is a couple miles after Las Posas. Park on land side of PCH on either side of entrance. Bring hat, sunscreen, plenty of water and snacks.